Equipment lease with no contract, free freight/Install, free service, free parts for the life of the lease! If you are a hospital, nursing home, or other healthcare facility, PLUS is reimbursable by Medicare according to CMS cost reporting forms. 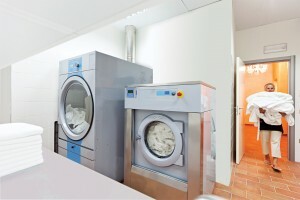 Perfect for Hospitals, Nursing Homes, Hospices, Hotels, Resorts, Spas, Drycleaners, and more.If you have an old laundry room that needs new equipment now – PLUS is the perfect solution.